Three days ago, I stood in the aisle of my neighborhood Kroger buying baby food for my mother. It was a sobering moment to say the least. Her nausea had worsened, and in desperation, I turned to what I assumed was the easiest food to digest. 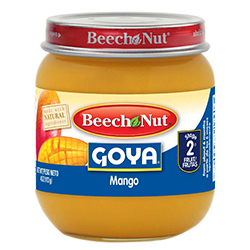 The good news: Goya now makes its own line of infant food. I scooped up as many jars of Apples With Guava as I could hold and headed to the register. The bad news: We are running out of time. We’ve been working with the wonderful souls at Heartland Hospice for a couple of months now, so all of us are learning to make room for Death at our elbow. It’s a long exercise in acceptance and forgiveness, as it turns out. That, and endurance. But of all the difficult things, one of the worst is this: When I look at my mother and my tía Isa, who is ailing, too, I can’t imagine the silence of my world without them. All those stories that have shaped me, annoyed me, hurt me, defined me, made me wonder, turned me into a writer…they will stop, and it will be up to me to remember and share. 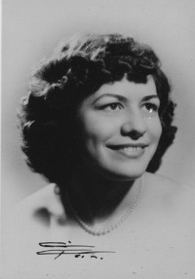 Which is why, perhaps, my aunt – tía Isa – called me to her bed a week or so ago. She has always been one to surprise me. 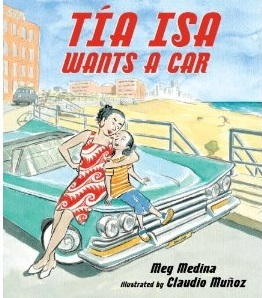 For example, she bought our first family car – a shocking event immortalized in Tía Isa Wants a Car. 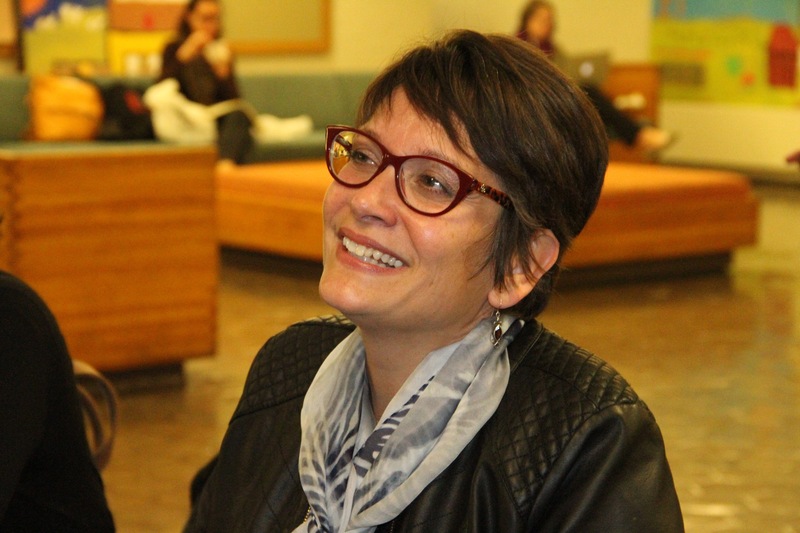 And, if you’ve read this blog over the last year, you know that Isa also surprised us by surviving a massive stroke. “What is it?” I sighed. It had been a long day for me, and I was irritable from the endless and sometimes irrational demands I have to meet to keep my mother and aunt comfortable. I can be called on to close curtains another inch, run to the Dollar Store, “fix” the remote, explain junk mail, fight with Humana, empty a bedside commode. My writing time is crowded out more often than I want to admit. 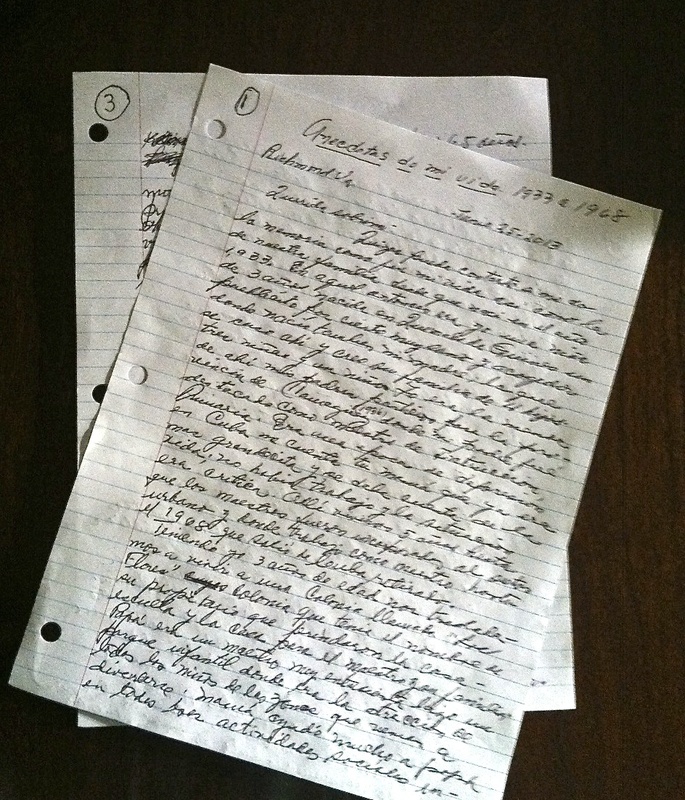 But this time, she handed over a few sheets of handwritten looseleaf. “Querida sobrina,” it said. Dear Niece. As I read aloud in Spanish, I realized to my complete shock that she’d written me a letter containing all she can remember of her life in Cuba. It was four pages, which is a lot of writing for an 80-year-old stroke victim. It begins with her birth in 1933 during the Great Depression, and the last entry is about the night before she left in 1968. In between, she mentions hurricanes, life in a “colonia,” building a schoolhouse, my grandfather crossing the river on horseback. It’s a Cliff’s Notes version, but it has a great ending. “Que Dios Bendiga America!” God Bless America! I sat on the edge of her bed, speechless for a minute. I could hear the urgency in her voice as she told me why she’d done it.